I'm amazed every week that Elvis Mitchell has produced yet another intriguing and insightful interview. I learn so much about art, culture, and the creative spirit. He makes profound connections between different works across and within genres that reveal what's really at heart of different artists life's work. 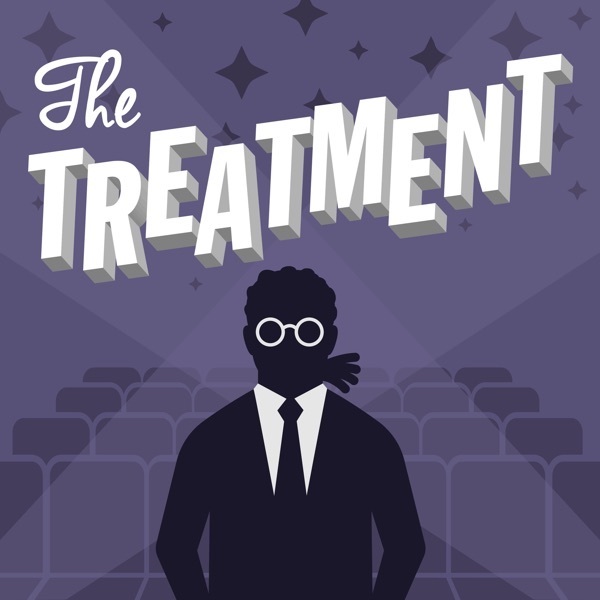 Elvis Mitchell, host of The Treatment, is an F-ing pro. He delivers extraordinary interviews with some of the most exciting creators in Hollywood. Great voice, great audio quality, and compelling conversations are afoot in each episode. I'd like to appreciate this show more. Good conversations, thoughtful questions, rich dialogue. But only about 10% of his guest are women. Does he genuinely have so little interest in female authors, performers, leaders, etc? Give me a break. I'm tired of supporting things created by men that are so woefully masturbatory in their singular appreciation of other men. Next. Elvis Mitchell has the perfect voice for podcast interviews—smooth, soothing, bass. It’s obvious that he’s interested in the guest and the work in question. I love the variety on the podcast itself—movies, tv, cultural exhibits. So much to choose from. Amazing host, great guests and awesome content! And I still listen every week. Elvis is great. The Treatment is always highly informative, thoughtful, and entertaining in a way that only a show hosted by Elvis Mitchell can be. No matter the guest on his show (even the windbags that are full of themselves slip on every occasionally) Elvis is always kind, compassionate, and truly brings out the best in his guests. The connection he forms with his guests if obvious as conversations always display an ease that allows great candor and fun in his interviews. If you are not already listening to this, what are you waiting for? Shake it - Don’t break it! This show give me so much joy and so much to consider. I love Elvis’s preparation and his deep appreciation for literature and cinematic history. Thanks, E.
This podcast manages to get interviews that are more in-depth than a lot of podcasts that are three times as long. This is mostly possible because Elvis Mitchell is one of the best interviewers that I’ve ever heard. His seemingly endless knowledge of film gets to the heart of the conversation quickly, and he’s always able to riff on anything that a guest references. His passion comes through with every episode. The level of conversation from the guests is rich and always goes beyond the superficial answers that are given in a lot of similar interview situations. A great podcast for anyone interested in the creative process. Honest, candid interviews with interesting artists and content creators. Elvis gets the best in the business to sit down and really open up about their work. Elvis is a fantastic interviewer who really explores the inspirations and thought process of filmmakers in his interviews. a very good podcast. Yeah Film Independent. Yeah LACMA. Elvis Mitchell's interviews are smart and entertaining. This podcast is a must for film buffs! Elvis and Charlie Rose are in my mind the two best interviewers in the entertainment world, so being able to listen to the wonderful conversations in this podcast really is a joy. Minus a basic plot details, Elvis never asks the obvious questions and his knowledge of the most indie or limited release films is amazing. Elvis Mitchell is a great host. Elvis brings it like no other. He's KRS-2: knowledge reigns supreme, educational coolness. Always turns me on to new art as well as artists, never a lame guest. Elvis asks deeply personal questions & always hits it out the park. He keeps you on the edge of a cliff even when you didn't think you were interested in the subject matter. I hope he has a storage unit full of golden microphones! He doesn't listen to his guests. Nor does he watch their films. This guy is ethically challenged. The quintessential broadcast radio show comes to the iOS-sphere. A friend just introduced me to this podcast. I love the Christopher Nolan interview. Completely changed my view of Inception. The show is just jammed pack with information. Elvis listens and responds in turn with great insight. I look forward to speaking with him on or off the mic. This podcast is awesome and I almost gave it five stars. I loved everything about it except for Elvis' voice. Not that his voice is bad, it's good. Too good. It seems like he's trying really hard to make his voice sound cool and I find it distracting from the interviews. I keep waiting for him to say schweaty balls. Mitchel is in the same league as Fresh Air's Terry Gross. Mitchell's conversations with filmmakers are uniformly thoughtful, thorough, and pull no punches. Thank you so much for your show. I've known of Elvis Mitchell via other media avenues and was not aware that he had a radio program. This show is great! I am hooked. I love Elvis's voice. Intelligent, well-informed and compulsively listenable, it is my favorite podcast. I wish it was more than once a week. Informative beyond belief. That's to Elvis for doing such a great job. Thank you, KCRW and Elvis Mitchell! This is the only podcast that I have ever felt compelled to review. I've listened to this podcast every week for the last two and a half years on my commute to work, and without a doubt, this podcast has introduced me to quality films, books and television programming that I would have not sought out by myself. Thank you, KCRW, for making this outstanding podcast free to the general public, and an extra "thank you" to Elvis Mitchell -- you are truly a gifted interviewer. Is there any interview show even in the ballpark? You'll almost never hear Elvis Mitchell ask the question, "...and what was it like working with blah blah?" And if he does, it will be integral to the examination of a filmaker's art. Listen to the intensity with which Elvis' subjects participate in these interviews. You wont find that anywhere else. This is one of my top 5 favorite podcasts. Elvis Mitchell is an eloquent speaker who is very intelligent and informative. Is there anything higher than 5 stars? Elvis please keep up the Great work.The world is listening. I agree, what's up with all the fashion interviews? The Treatment is getting sidetracked. Is Elvis running out of film folk to interview? I don't give a whit about design, fashion or whatever the heck these weird interviews are about. I am usually anxious to hear the next podcast but for the last three, I listened to a few minutes and then could hardly wait to delete them. Let's get back to the film business! The Treatment is about to lose a loyal fan. i really enjoy this show and look forward to it every week. But WHAT is with all the fashion interviews lately? I love this show and listen to it every week, but for the past few months that means unsubscribing and re-subscribing each and every Friday. No matter what I get a bad URL error whenever iTunes tries to update this podcast. I wish they'd get some technical help, because whatever they're doing wrong is pretty annoying. Great to hear this show! I agree with all the other reviews that regail Elvis' great interviewing prowess, but I also want to recommend this podcast to all the other folks out there like me whose local Public Radio affiliate doesn't broadcast The Treatment. The shows are insightful and highly entertaining! I'm glad I stumbled upon these broadcasts! The questions are always intelligent and the answers are always interesting. I love to hear artists talk about their craft and Elvis's questions always elicit some eye-opening discussions. Elvis gets to the soul of the film maker, the purpose, the mindset, and everything I want to know about the project and the process. Can you imagine any other show with the stars not having to be a studio or corporate stooge? Elvis is 2nd to no one! Terry used to be my favorite, mainly because she was the only one I heard on PBS. Then I heard Elvis Mitchell! His interviews are insightful and creative. He offers ideas to the interviewee that makes them exclaim, "What a great idea! I never thought of that." He imparts knowledge to his subject without being invasive and cloying. He obviously know much about the subject and puts his guests totally at ease. All other interviews should be required to listen to his interviews. Elvis is a great interviewer because he really cares about the person he is talking with. His style is laidback but passionate. Because he is so trustworthy his shows are very insightful. My only complaint is they need more episodes!